Here at Creative Nature, we love to take care of our bodies. That’s the whole purpose of our company- to ensure healthy, delicious, affordable and feel-good products which are easily accessible to our consumers. 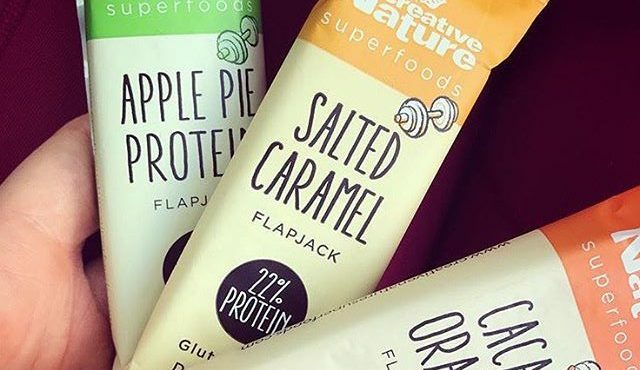 With a selection of superfoods, snack bars and ready to bake mixes, we have a wide range of products that will make sure you are healthy and fuelled from the inside out! We also have a few products which can easily be used as cosmetic or beauty products to make sure your skin is also looking fresh and feeling healthy! We’ve got a couple cool recipes and tips up our sleeve which we are definitely going to share with you in upcoming posts, and first of all….today, we’re sharing a recipe of a beautiful, super easy and quick home-made body scrub which some of our lucky readers have already had a chance to hear about from our newsletters! 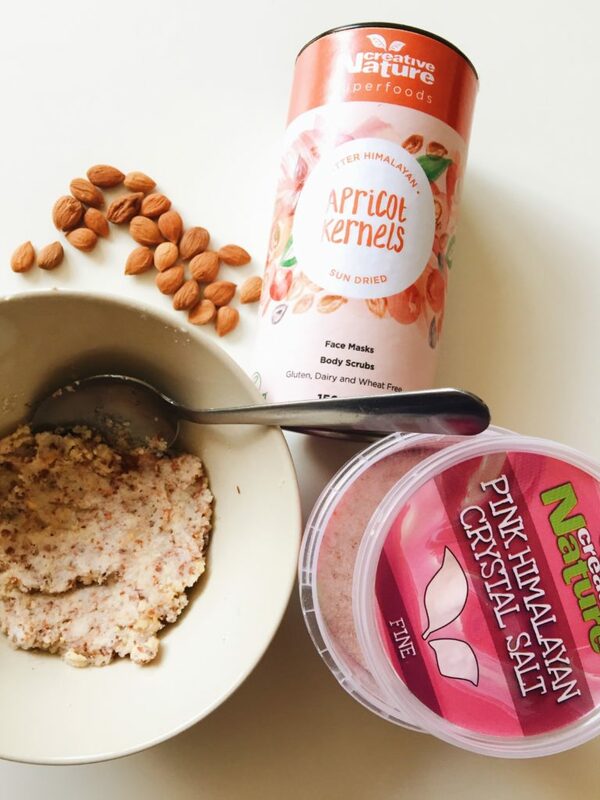 Apricot kernels are full of Vitamins E and A, which are linked with reduced ageing. They are also suggested to aid in nourishing and moisturising the skin, whilst Mineral-rich Pink Himalayan salt balances skin pH, detoxifies and also softens it! The combination of these two ingredients not only provides a physical exfoliation needed to remove old, dull and dead skin cells, but also provides a beautiful glow and wakens up the skin- leaving you looking youthful and glowing! Combine these two incredible ingredients with coconut oil and this scrub also instantly moisturises the skin, meaning there is no need for tons of moisturiser afterwards! Our team member Paula tested out this home-made scrub a few weeks ago and keeps talking about how incredible it is + how easy it is to make! Here is her recipe for a serving that should be enough for 1-2 uses. Feel free to double or even triple the ingredients to create a larger amount in one go- just make sure to put the scrub into an air-tight (preferably glass) container and keep in the fridge! Crush up the apricot kernels in a pestle and morter until a powder is made – the more fine the kernel powder, the easier it will be to use the scrub! Mix the apricot kernel powder with salt and add in the coconut oil. Mix the coconut oil in with the exfoliating ingredients and use right away or store for later use! The scrub is super easy to use- when you’re taking a shower just wet your skin and apply some of the scrub to areas you want to exfoliate- rubbing in circles gently to aid in skin exfoliation. Rinse off and pat dry. Add moisturiser if you want, but the coconut oil in the scrub seems to be enough of a moisturiser for most! If you make this scrub- make sure to share your feedback and photos with us on Instagram, Twitter and Facebook!